Dr. Mize was the Julius H. Mullins Professor of Cell Biology and Anatomy and Co-Director of the Interdisciplinary Training Program in Neuroscience at LSU Health Sciences Center, New Orleans. He earned his B.A. Degree from Northwestern University and his M.S. and Ph.D. Degrees from the University of Chicago. He was a Research Fellow at the Institute of Neurological Sciences, University of Pennsylvania (1975-1977), and an Assistant, Associate and Full Professor of Anatomy and Neurobiology at the University of Tennessee Health Science Center, Memphis (1977-1991) where he also served as Co-Director of the Center for Neuroscience. He was Visiting Professor, Institute of Ophthalmology, University College London in 2002. 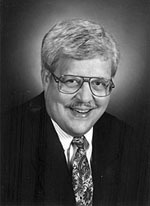 He served as the Department Head of Cell Biology and Anatomy at LSUHSC from 1992-2003. Under his leadership, the department recruited a number of funded researchers, expanded the department’s core research facilities, and increased NIH funding 15-fold. Dr. Mize’s research focused upon transmitter-specific synaptic circuits in the visual system and upon activity dependent modifications during brain development. He received nearly continuous funding from the National Institutes of Health from 1975-2008 and is the author of over 200 journal articles, book chapters and published abstracts. He has edited four books: The Microcomputer in Cell and Neurobiology Research, GABA in the Retina and Central Visual System, Neural Development and Plasticity, and Nitric Oxide in Brain Development, Plasticity, and Disease. He served on the Editorial Boards of the Journal of Neurocytology, Visual Neuroscience, and Brain Research Protocols, and was the Associate Editor of Journal of Neuroscience Methods. He also served on the Advisory Panel of Progress in Brain Research. He served on review panels of the National Science Foundation and the National Institutes of Health. Dr. Mize was active in graduate neuroscience education for his entire career, in both the Neuroscience Center where he served as Co-Director of the Neuroscience Training Program with Dr. Nicolas Bazan and in the Department of Cell Biology and Anatomy; and nationally where he was a Councilor and President of the Association of Neuroscience Departments and Programs. He has been a member and served on committees of a number of national scientific organizations, including the Society for Neuroscience, International Brain Research Organization, Anatomy Cell Biology and Neuroscience Chairpersons, and the Association for Research in Vision and Ophthalmology. He has won numerous teaching awards, has developed innovative methods in computer-aided instruction, and served as the Course Director of both Medical Neuroscience and Allied Health Neuroscience. He has a life-long devotion to the cultural arts, and currently is an officer and/or serves on Boards of the New Orleans Opera Association, the Louisiana Philharmonic Orchestra, the Friends of Music, Southern Rep Theater, the Arts Council of New Orleans, and other arts organizations. Mize, R.R. and Salt, T.E., Contribution of GABAergic inhibition to synaptic responses and LTD early in postnatal development in the rat superior colliculus, Eur. J. Neurosci. 20: 1331-1340, 2004. Mize, R.R. and Salt, T.E. In: Hall, W.C. and Moschovakis, A.K. (Eds. ), Mechanisms underlying development of the retinocollicular pathway, The Oculomotor System: New Approaches for Studying Sensorimotor Integration, CRC Press pps. 211-233, 2003. Lo, F.-S. and R.R. Mize: Properties of LTD and LTP of retinocollicular synaptic transmission in the developing rat superior colliculus, Eur. J Neurosci 15:1421-1432, 2002. Cork, R.J., Y. Namkung, H.-S. Shin and R.R. Mize: Development of the visual pathway is disrupted in mice with a targeted disruption of the calcium channel b3 subunit gene, J. Comp. Neurol. 440, 177-191, 2001. Wu, H.H., R.J. Cork, D. Shuman, P.L. Huang, and R.R. Mize: Refinement of the ipsilateral retinocollicular projection is disrupted in double endothelial and neuronal nitric oxide synthase gene knockout mice, Devel. Brain Res. 120:105-111, 2000.